I am a self confessed Falafel lover. 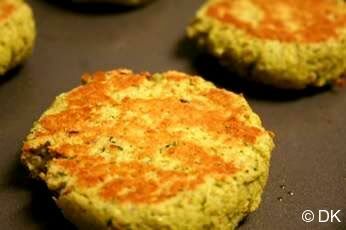 But Falafel by itself without the frying is really nutritious and gives an instant energy boost. It also helps to fill you up faster thanks to all that protein packed into it.What can be done without much effort, makes me feel really full, is healthy and requires less cooking time? 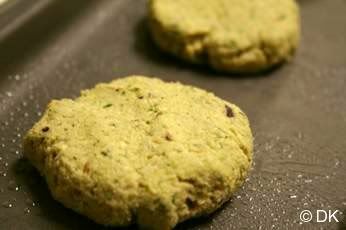 Baked Falafel it is. You have a perfect, healthy lunch under 30min. Need any more bargain than this? 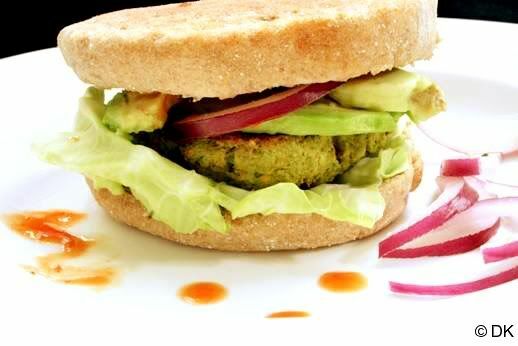 :)The recipe is almost same as Fried Falafel which I am repeating here with a minor change being that I have not used Fava beans. Instead its completely chickpeas. 2. Blend to a smooth paste. Dont add water until required for blending. 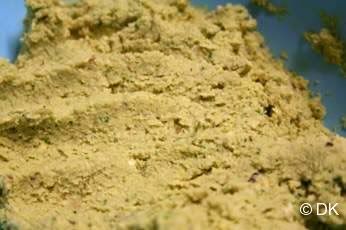 The dough should allow you to shape this mixture into patties. In case, it gets difficult, add little soy flour/corn flour to thicken it. 4. Turn them in the middle so that both the sides are cooked. Bake them till both the sides turn golden brown. Dont bake them for a long time since they get drier. Thanks for all the wonderful recipes! I' found your blog recently and have been loving all the tofu recipes. One question on this, do we have to boil the chickpeas? I don't see any mention of it but just want to make sure. I have been following you on facebook, but I don't always get to read your recipes... anyway, I just suscribed to your blog instead and was going through your recipes and stumbled upon the falafel. I LOVE falafel! I make it all the time but I love your approach and the burger concept of this. Keep up the good work and continue to "feed" us all those nice recipes of yours. 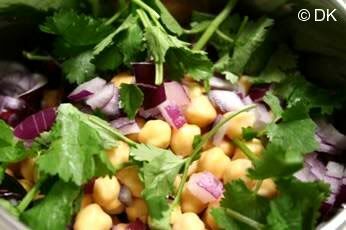 I tried these with romano beans and celery because I didn't have chickpeas and onion. Worked well. Thanks for the recipe! Wow!! 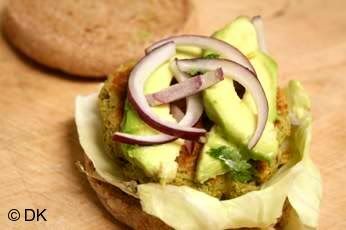 These look so yummy...will try them out and not feel guilty about falafel! I love them :) Thank you! Wow healthy and yummy way for satisfy ones own hunger. I too join my hands with u Dk..just reading the name itself makes me hunger..Delicious n great dish indeed..
Another falafel lover here. The guilt free food. I do mine on the skillet. Good idea to bake them. My god! you guyz are awesomely fast!!!!!!!! Glad to know you like them :) They r yummy arent they? Perfect.I too love falafels.This one is perfectly done.